Is Le-Vel an MLM and/or a Pyramid Scheme? MLMhun/stranger messaged me knowing my brother just died. "Happy birthday! .. Would like to be part of .."
Just spotted this posted by a lovely but gullible parent. Did some digging. XXY? 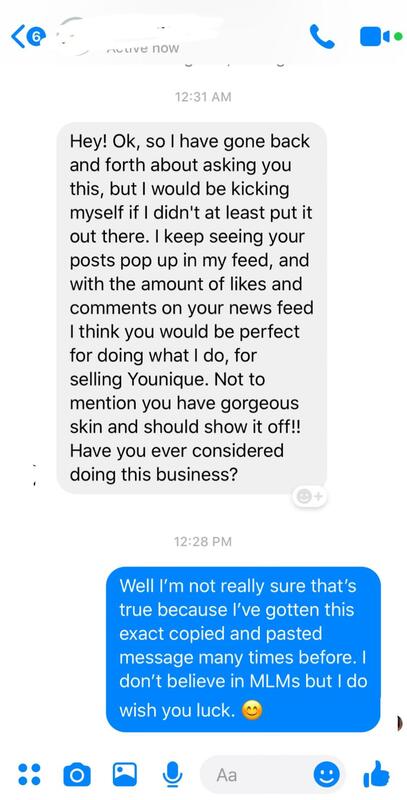 My Fiancée’s Mom started a “new business”. 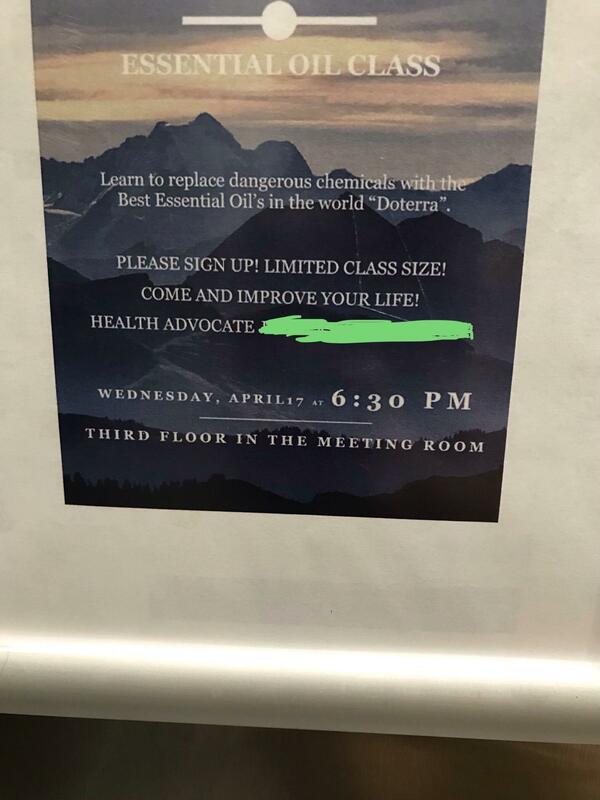 I’m assuming it’s MLM. What is US Health Advisors and why are they an MLM? A Mary Kay hun with low morals? Shocking! 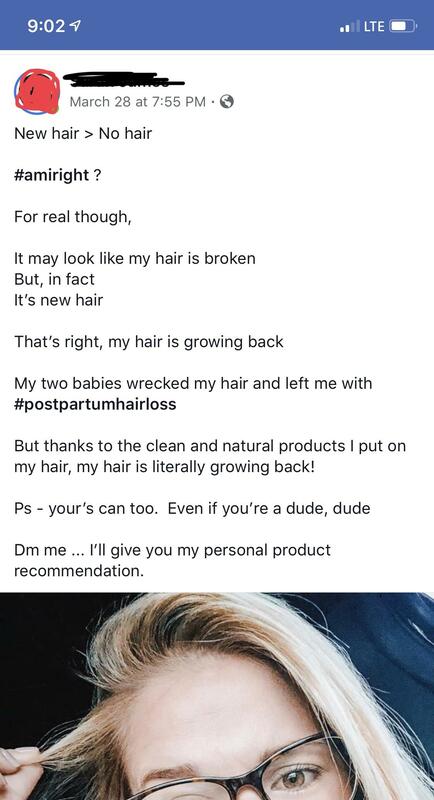 Evil Huns preying on pregnant people. Which MLM has the worst huns? If I had a dollar for every time I have gotten this EXACT same message. Few months ago from a girl I don't know. Got told that DoTerra could CURE MY "TRANSGENDER DISORDER"
MLM without a company name? Quit suffocating your hair follicles! My father has become completely enthralled by an MLM and is ruining our family. Please help. 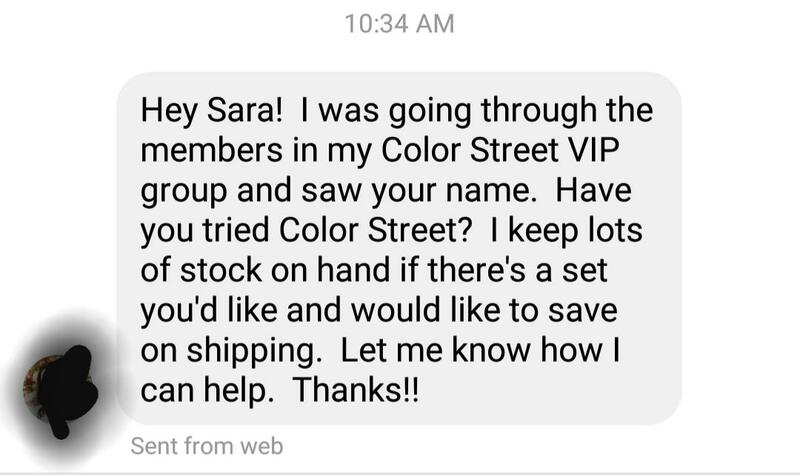 Should I buy from an MLM? MLMs joining the Chamber of Commerce? mighty boosh crossover episode, anyone? How to respond to claims that it’s just like buying a franchise? How Does MLM Remain Legal? LOOM WTF is it? 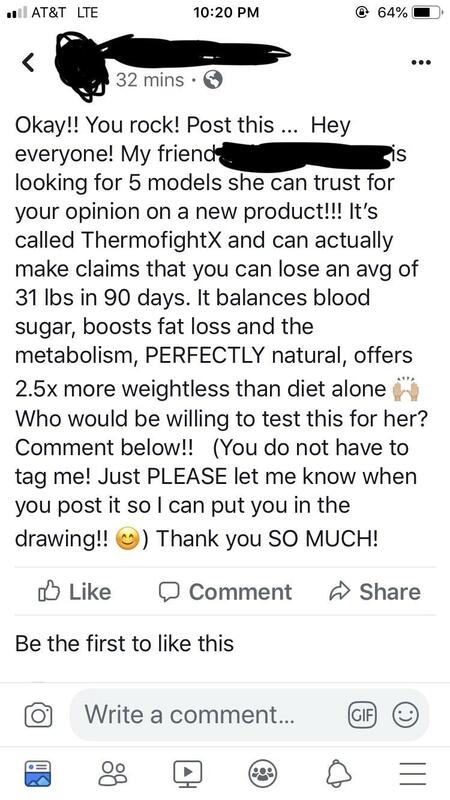 Super obvious Pyramid scheme ?? I'm trying to convince my mom that APL (Aplgo.com) is a bad idea. Please, if you have any details, comment. When a MLM hun tried to force me, a then teen, to become a part of her team by essentially kidnapping me. 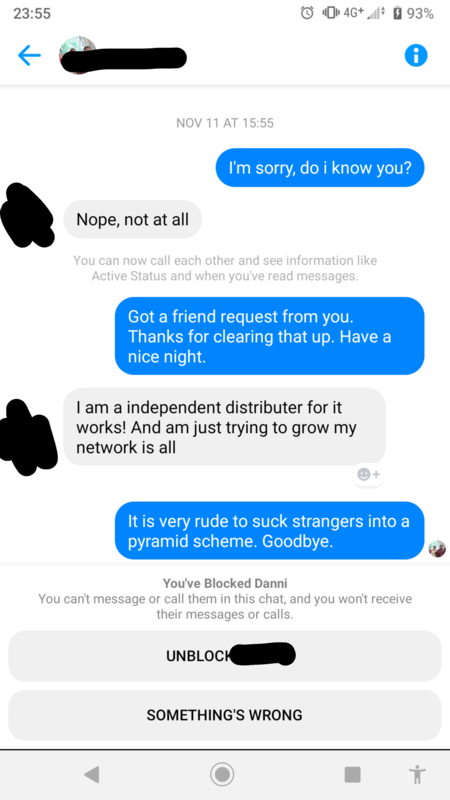 How many MLMs does it take to end a friendship? Lifelong best friend has just tried pitching cutco to me. My mom had passed away 2 months prior. Haven't talked to this person in 15 years. Fb friends. 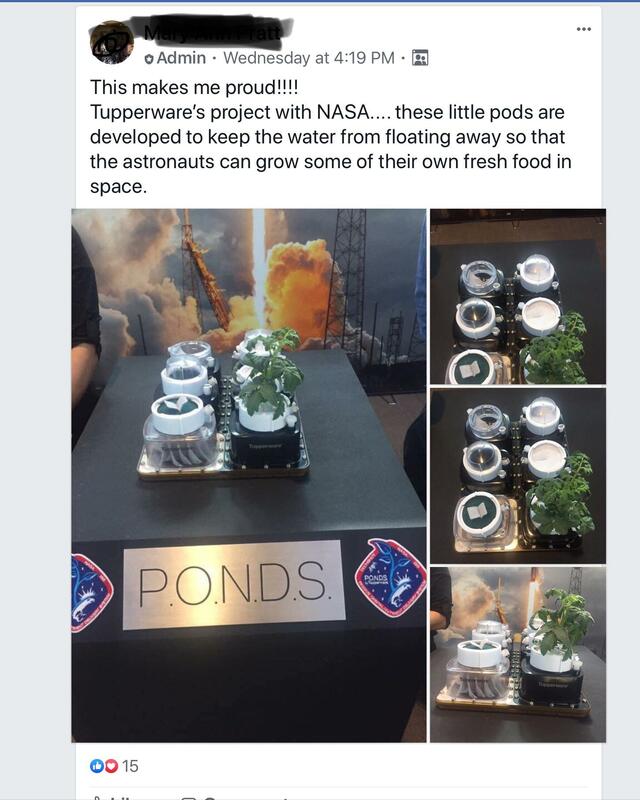 Anyone heard about Tupperware and NASA collaboration? 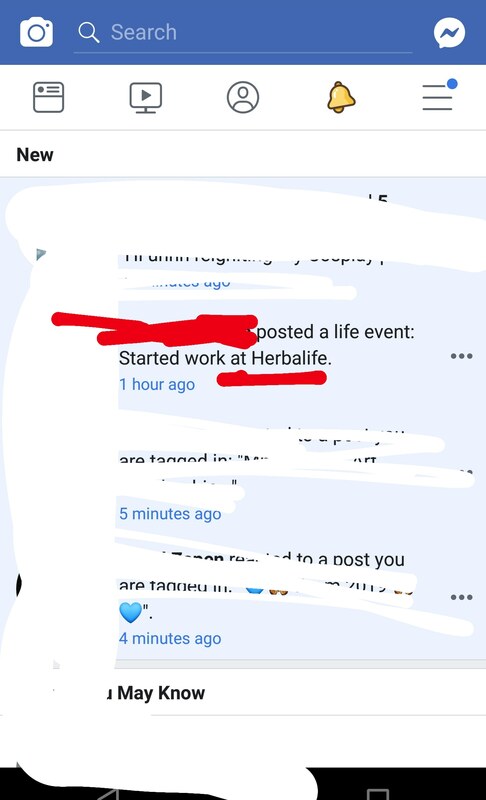 A Herbalife hun is trying to sell 10 - 15 year olds shakes. I just saw a fleet of Herbalife SUVs drive by multiple restaurants and stop for a couple of minutes. My parents fell for Q Sciences. The worst part is that they signed me and my siblings up for it without even asking us. Top Earning MLM Reps Have No Interest In Your "Success" And Know 100% You Have No Chance Of Making It. End Of Story. Is “affiliate marketing” another way of saying MLM? This comment someone left under a post in a skincare advice subreddit. I found this book someone gave me as a gift when I was pregnant. I had never actually read it, but damn if it doesn't have some reminders why Young Living is evil. Jeunesse mlm'er contacts my dad who is sick with prostate cancer.